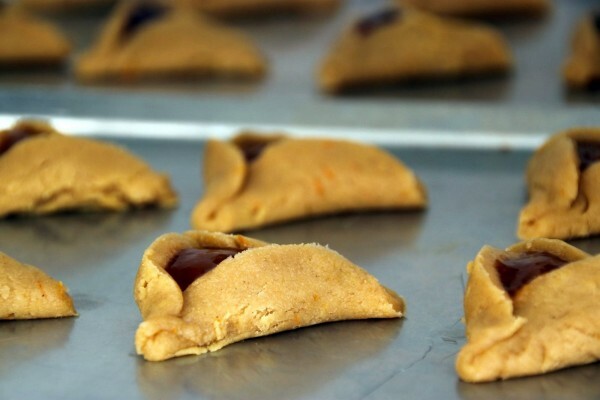 Every year, around my birthday, is a Jewish holiday called Purim. It’s basically the Jewish version of St. Patrick’s Day and Halloween all mashed up together – you dress up in costumes and drink a lot! 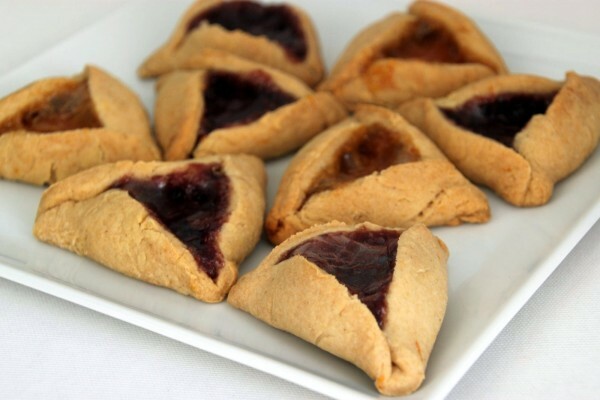 You also traditionally eat cookies called Hamantaschen, that resembles Haman’s (the bad guy in the story’s) 3-cornered hat! They are doughy cookies filled with jam (or other fillings). I am a fast & easy type of cook, and these took a bit longer than I’m used to since you have to cut them in circles, fill them and fold them to create triangles (as opposed to say, making brownies where you mix stuff and pour in a pan!). I have to say, even if it was a little more involved then I usually go for, it was still easy and very fun to do with kids! 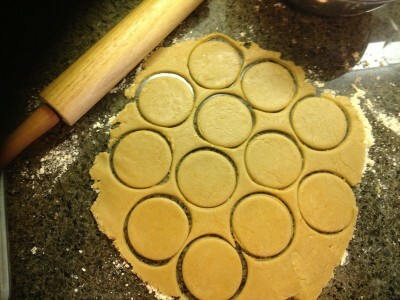 Put 1 tsp of filling in the center of each cookie, and fold up the sides, pinching along the edges. 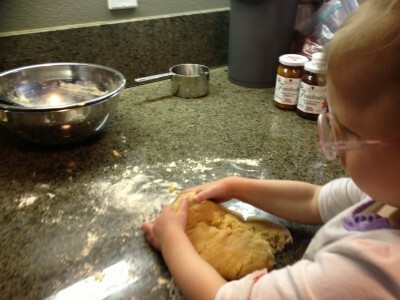 *Note: you should still be able to see the filling, it’s not a dumpling!